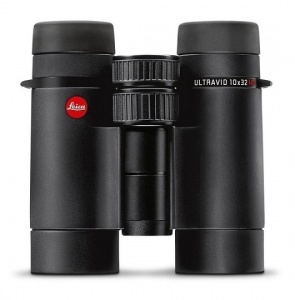 The new Leica Ultravid HD Plus 10x32 binoculars stand out not only because of their extreme compactness, but also their HD lenses, which gives them increased high-performance. These binoculars are ideal for use in good light conditions and incorporate top-performing lenses that keep stray light at a minimum. For extreme performance at the highest level. The Leica Ultravid 10x32 HD uses all available technologies. Mechanical, optical and ergonomic, the Ultravid series tops the quality list of available binoculars. High-transmission prisms from SCHOTT and lenses coated as part of a special new process guarantee natural colour fidelity, exceptional contrast and optimum transmission. Thanks to their ergonomic construction, the binoculars fit comfortably in the hands, even when observing for long periods of time - for even more breathtaking visual experiences and optimum enjoyment of the world of nature. Due to the application of magnesium and titanium the Leica Ultravid HD Plus 10x32 binoculars are extra light and strong while a perfect placement of the focusing mechanism provide ideal ergonomics conditions and the excellent balance of the viewers make long relaxed viewing possible.